Keeping chickens is no longer the sole domain of farmers or rural hobbyists, many urban householders now find the space in their back gardens to house a chicken coop too. Wherever you live though one of the top priorities of poultry husbandry is keeping them safe from pests and predators. Your adversary can be clever and determined and it may sometimes seem like a constant battle keeping unwanted visitors out. However, the reward of happy and healthy chickens far outweighs the effort. The biggest risk to chickens is of course the fox. 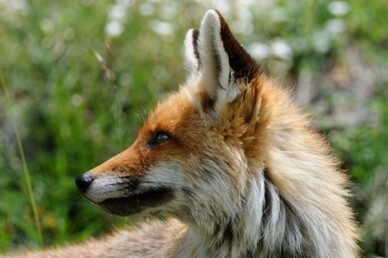 Foxes are known as cunning and sly animals with an opportunistic nature. They will sometimes make their presence known, but quite often people are completely unaware that a fox is in residence. They will make short work of any loose catch or damaged fencing they can crawl through or dig under. 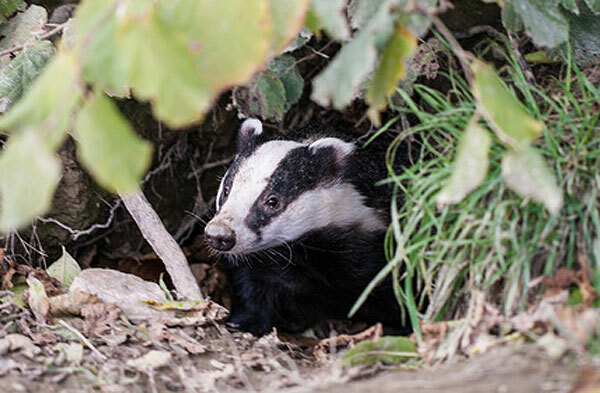 Surprisingly, badgers are an equal threat to chickens. Strong and ruthless, a badger will happily help himself to your chickens – they have even been known to tear off loose wooden panels and open holes in fencing to get to a meal. Badgers differ from foxes in that they will generally work alone and only take one bird, whilst foxes will clear your chicken house and leave a devastating scene for you to find in the morning. The American Mink can be found living near streams and rivers, but will live away from water if there is a food source available – like rabbits, small mammals or your chickens. They are found widely across the UK, apart from the top of Scotland, Wales and East Anglia. Mink have been known to kill every bird in the coop but may not eat them all, often opting to gruesomely drink their blood instead. Mink are agile and have a long body that enables them to squeeze through tiny gaps. They will return to a hen house at a later time if they see a further opportunity for a feed. 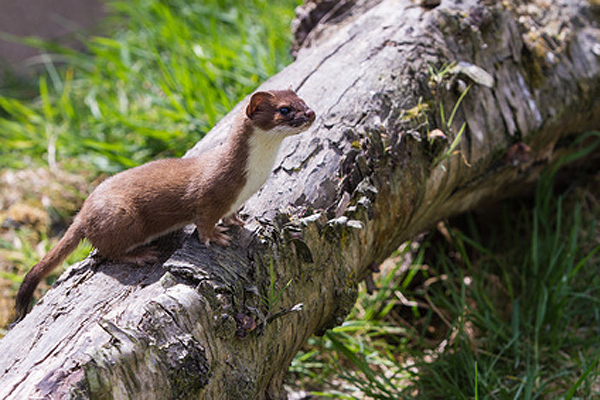 Stoats are found throughout the UK in a wide range of habitats – from forests to towns. Stoats eat rabbits, rats and mice – an additional incentive to control any rodent problem so as not to attract stoats to the area too. While they can serve as natural rodent control for farmers who don’t keep poultry, these agile predators can present a problem and your coop will need to be very secure to keep them out. They have been known to take young birds from nests, so be particularly cautious if you let your chickens roost in trees at night. It has been said that chickens attract mice and rats, but it is usually husbandry issues that actually attract the rodents. Poorly stored or split bags of food are often key factors in attracting rodents to chicken enclosures. An ongoing source of food and a warm, dry, hen house are the perfect environment for rodents, so once you have them they won’t be in any hurry to leave. Rodents will make themselves at home with your chickens – eating their food, stealing eggs and gnawing at anything from wooden parts of the enclosure to chicken’s feet. Rats are particularly unwelcome in hen houses as they carry animal-borne diseases like Leptospirosis (also known as Weil’s disease) and Salmonella. They are known carriers of swine fever and foot-and-mouth disease, so a rat infestation can be doubly problematic if you also keep sheep, pigs or cattle. The best way to prevent a rodent infestation is to store food somewhere that can’t be accessed thus removing the incentive. 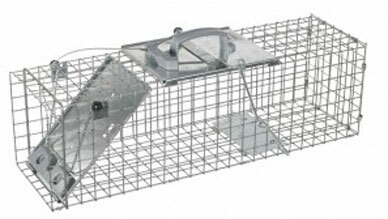 Live traps are safe and easy to use – once filled with bait they will catch even the craftiest of creatures. The main advantages for many are that they are effective and humane however, being easy to set and durable also makes them a practical solution. Live traps need to be inspected at least once a day, in order to ensure any trapped animal is not at risk from hunger, thirst or exposure. Welfare, even for pests and predators, should still be the highest priority. Captured pests can either be dispatched humanely or released back into the wild. Ensure that you are not releasing anything that is not native to the UK, as this is illegal. You may not be aware but currently animals such as the black rat, grey squirrel and edible dormouse are all illegal to release unless you have a license to do so. The release of the common (brown) rat is allowed, despite their original non-native origins, because they are classed as a well established UK resident. There are many reasons that you may choose to release your captured pests but you should bear in mind a few things if this is your favoured option. Strange as it may seem it is preferable, from an environmental viewpoint, to release in fairly close proximity to where your pests are caught. This avoids upsetting another areas eco-system or introducing pests into another keeper’s catchment area. Obviously you will want to avoid releasing them back onto your own doorstep but try to keep it as local as possible. What you will need to do once you have identified a pest or predator problem is scrutinise the environment you are keeping your poultry in and adjust it to make it as uninviting and secure as possible. Make sure your chicken enclosure is fully secure. Mink can get through gaps just 1 inch in diameter and foxes will also take advantage of any gaps to squeeze into your enclosure. Protect your chickens with a perimeter fence or an outdoor pen during the day. Bury the fencing underground to prevent tunneling under it, or consider the use of electric fencing. 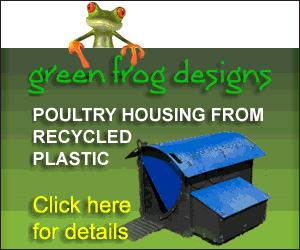 Feed your chickens in their outdoor pen and not in their hen house. This will stop mice and rats being drawn into the hen house and nesting there. Secure any food and make sure not to leave out any cooked food. Cooked food is a massive draw to rats in particular and any grains will attract both rats and mice. Clean the feeding area and make sure the food is stored cleanly and securely. Secure your chickens in their coop before dusk and release them after dawn – the night hours are when most of the predators (such as foxes and mink) will strike. Marion is European Ecommerce Content Specialist at Victor Pest. Victor®, the global leader in rodent control, offers a variety of innovative rat control solutions such as electronic rat traps, ultrasonic rat repellents and rodenticides to help you with all your rodent control needs. Victor® has all the information you need to get rid of the rat in your home.